Note: This post still contains a lot of oversimplification for the sake of explaining a few things. 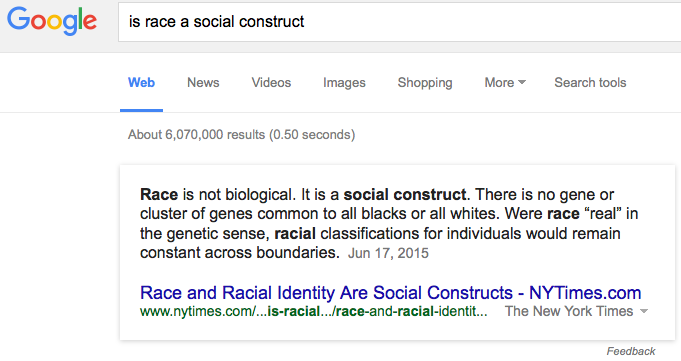 Welcome back to our discussion of the geographic dispersion of humanity. On Tuesday, we discussed how two great barriers–the Sahara desert and the Himalayas + central Asian desert–have impeded human travelers over the millennia, resulting in three large, fairly well-defined groups of humans, the major races: Sub-Saharan Africans (SSA), Caucasians, and east Asians. Our new map shows us navigational directions for getting to Melanesia and Australia–in ice age times, it instructs us, we can drive most of the way. If there isn’t an ice age, we’ll have to take a boat. The people of Melanesia and Australia are related, the descendants of one of the first groups of humans to split off from the greater tribe that left Africa some 70k ago. As the name “Melanesian” implies, they are quite dark-skinned–a result of never having ventured far from the equatorial zone. There is some speculation that they might have once been wider-spread than they currently are, or that various south-Asian tribes might be related to them, (eg, “A 2009 genetic study in India found similarities among Indian archaic populations and Aboriginal people, indicating a Southern migration route, with expanding populations from Southeast Asia migrating to Indonesia and Australia,”) but I don’t think any mainland group would today be classed as majority Melanesian by DNA. 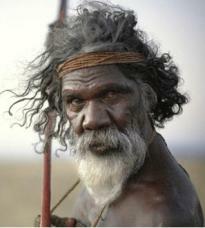 A 2010 study by the Anthropological Survey of India and the Texas-based Southwest Foundation for Biomedical Research identified seven genomes from 26 isolated “relic tribes” from the Indian mainland, such as the Baiga, which share “two synonymous polymorphisms with the M42 haplogroup, which is specific to Australian Aborigines“. These were specific mtDNA mutations that are shared exclusively by Australian aborigines and these Indian tribes, and no other known human groupings. A study of blood groups and proteins in the 1950s suggested that the Andamanese were more closely related to Oceanic peoples than African Pygmies. Genetic studies on Philippine Negritos, based on polymorphic blood enzymes and antigens, showed they were similar to surrounding Asian populations. 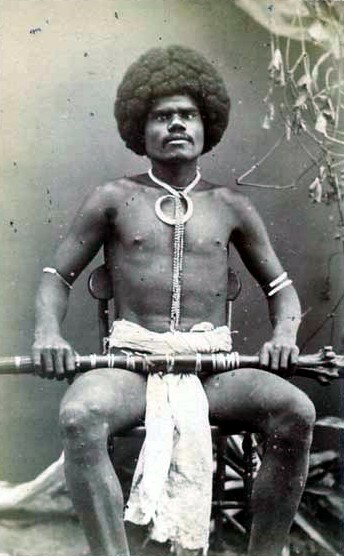 Negrito peoples may descend from Australoid Melanesian settlers of Southeast Asia. Despite being isolated, the different peoples do share genetic similarities with their neighboring populations. They also show relevant phenotypic (anatomic) variations which require explanation. In contrast, a recent genetic study found that unlike other early groups in Malesia, Andamanese Negritos lack the Denisovan hominin admixture in their DNA. Denisovan ancestry is found among indigenous Melanesian and Australian populations between 4–6%. However, the Negritos are a very small set of tribes, and I am not confident that they are even significantly related to each other, rather than just some short folks living on a few scattered islands. We must leave them for another day. So we have, here, on the genetic level, a funny situation. 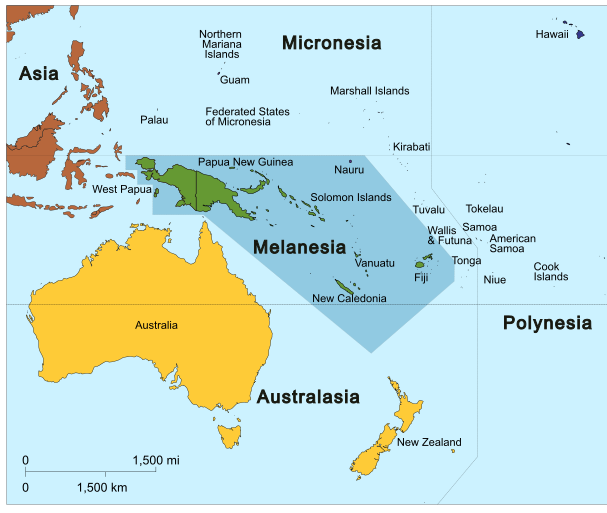 Melanesians are–relatively speaking–a small group. 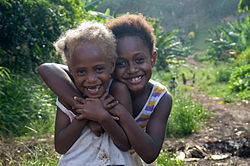 According to Wikipedia, thee are about 12 million Melanesians and 606,000 Aborigines. By contrast, Tokyo prefecture has 13 million people and the total Tokyo metro area has nearly 38 million. Meanwhile, the Han Chinese–not a race but a single, fairly homogenous ethnic group–number around 1.3 billion. Of all the world’s peoples, Melanesians/Aborigines are most closely related to other Asians–but this is a distant relationship, and those same Asians are more closely related to Caucasians than to Aborigines. As I mentioned on Tuesday, the diagram, because it is 1-dimensional, can only show the distance between two groups at a time, not all groups. The genetic distance between Caucasians and Aborigines is about 60 or 50k, while the distance between Asians and Caucasians is around 40k, but the distance between Sub-Saharan Africans and ALL non-SSAs is about 70k, whether they’re in Australia, Patagonia, or France. Our map is not designed to show this distance, only the distances between individual pairs. Now if we hopped back in our car and zoomed back to the beginning of our trip, pausing to refuel in Lagos, we’d note another small group that has been added to the other end of the map: the Bushmen, aka the Khoi-San people. Wikipedia estimates 90,000 San and doesn’t give an estimate for the Khoi people, but their largest group, the Nama, has about 200,000 people. We’ll estimate the total, therefore, around 500,000 people, just to be safe. The Bushmen are famous for being among the world’s last hunter-gatherers; their cousins the Khoi people are pastoralists. There were undoubtedly more of them in the past, before both Europeans and Bantus arrived in southern Africa. 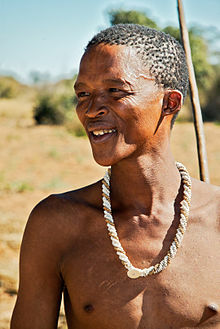 Some people think Bushmen look a little Asian, due to their lighter complexions than their more equatorial African cousins. Various Y chromosome studies show that the San carry some of the most divergent (oldest) human Y-chromosome haplogroups. These haplogroups are specific sub-groups of haplogroups A and B, the two earliest branches on the human Y-chromosome tree. Mitochondrial DNA studies also provide evidence that the San carry high frequencies of the earliest haplogroup branches in the human mitochondrial DNA tree. This DNA is inherited only from one’s mother. 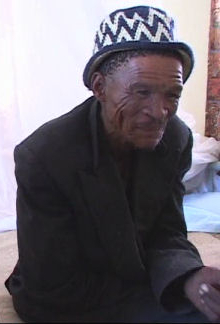 The most divergent (oldest) mitochondrial haplogroup, L0d, has been identified at its highest frequencies in the southern African San groups. In a study published in March 2011, Brenna Henn and colleagues found that the ǂKhomani San, as well as the Sandawe and Hadza peoples of Tanzania, were the most genetically diverse of any living humans studied. This high degree of genetic diversity hints at the origin of anatomically modern humans. Recent analysis suggests that the San may have been isolated from other original ancestral groups for as much as 100,000 years and later rejoined, re-integrating the human gene pool. So the total distance between Nigerians and Australian Aborogines is 70k years; the distance between Nigerians and Bushmen is at least 100k years. When we zoom in on the big three–Sub-Saharan Africans, Caucasians, and Asians–they clade quite easily and obviously into three races. But when we add Aborigines and Bushmen, things complicate. Should we have a “race” smaller than the average American city? Or should we just lump them in with their nearest neighbors–Bushmen with Bantus and Aborigines with Asians? I am fine with doing both, actually–but wait, I’m not done complicating matters! Tune in on Monday for more.